Unified memory with a nonvolatile memory controller yet three references to instances of the SPM instruction. Well, one is xplained "pro", the other "mini". what does that mean? $38 vs $9...what do you get for the difference? So the pro has a few more features, uses the EDBG debugger instead of the mEDBG which is kinda slow. Can someone tell me what this means? Independent clock system? Independent in some other way? Core Independent Peripherals are designed to handle their tasks with no code or supervision from the CPU to maintain operation. As a result, they simplify the implementation of complex control systems and give designers the flexibility to innovate. The Pros are usually bigger boards (and bigger processors), and come populated with the XPro headers - so that you can plug on XPro expansion boards. As the name (and price) suggests, the Minis are smaller and don't have the extras. The same ferrite bead is on UC3A4 (EDBG) VDDANA and UC3A4 USB_VBUS. USB VBUS is filtered; external 5V power is not filtered. Reason: IO rise and fall times are greatly less than PB megaAVR. or is the AVR EMC application note adequate? 16 bit access has been changed since the xmega series. ...Note that on the XMEGA, the byte order for multi-byte access is always from the least significant byte to the most significant byte. So does the megaAVR 0-series follow along with Xmega, or use the classic mega avr sequence? ... it [mega4809] shares the basic characteristics of the somewhat-stuck-in-time AVR family. Onto Microchip’s most-loved child, the PIC. The new PIC16F18446 is another overachiever when it comes to peripherals. Finally, there’s the new PICkit 4 programmer/debugger ($48). Let’s hope it rights some of the wrongs perpetrated by the deposed PICkit 3. 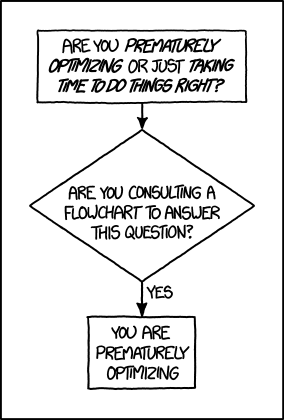 Especially, in my case, the inability to function at the 3V of my project! On the plus side, brownie points to any company that offers multi-platform support (it works under MacOS, Linux, and even Windows). In the March 7, 2018 Embedded.com newsletter, Mega4809 is going to be the new Arduino MCU. I think that is absolutely fantastic! Simonetta is going to have to change the Mantra! This Xplained Pro board features the newly released ATmega4809 microcontroller. This device is packed with features such as Core Independent Peripherals, Event System, Intelligent Analog and Low Power. 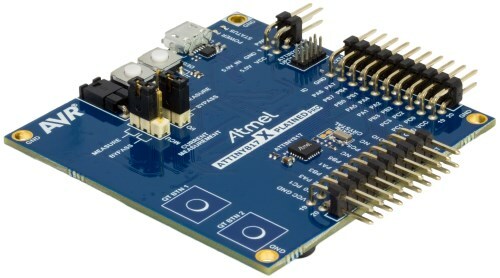 Programming the Xplained Pro board is easy and fast with Atmel Studio and Atmel Start. In this video we are demonstrating how you can get up and running with the Xplained Pro board with a Blink application in minutes. 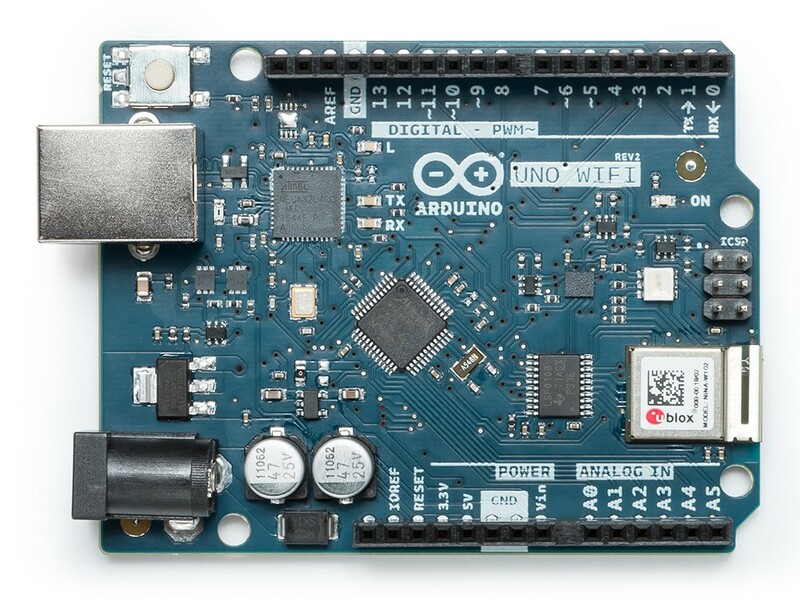 The ATmega4809 has been selected to be the on-board microcontroller of a next-generation Arduino board. Will the mega4809 Arduino have EDBG? AVR Studio On Mac & Linux? Samples may be available for mega3208 and mega4808. 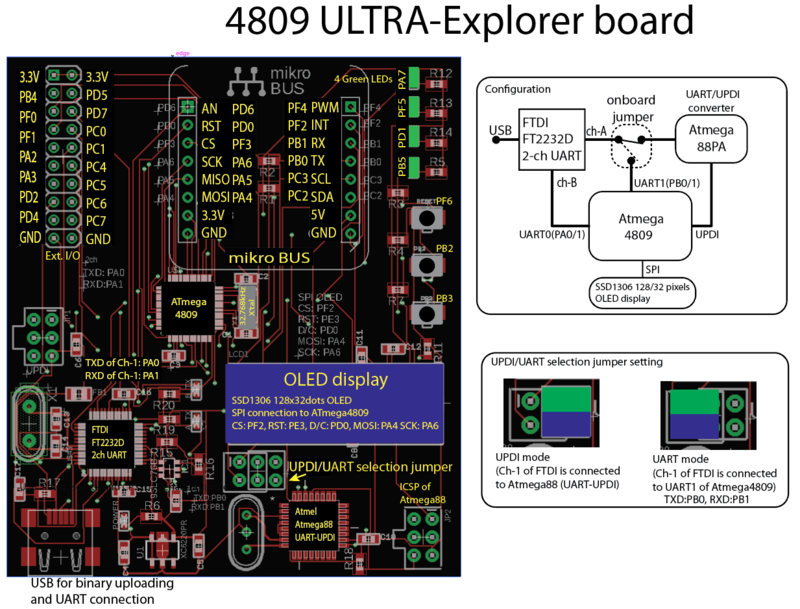 Rapid prototyping with the ATmega4809 is supported by the ATmega4809 Xplained Pro (ATmega4809-XPRO) evaluation kit. Hmm, that says "It has 14 digital input/output pins (of which 6 can be used as PWM outputs), 6 analog inputs, a 16 MHz ceramic resonator, a USB connection, a power jack, an ICSP header, and a reset button. " - but the image shows a crystal on the Mega23U, and what looks like just 32KHz support (EPSON?) on 4809 ? Or has the 4809 secretly added Crystal Oscillator back into the mix ? Or is this just lazy copy/paste ? Other designs have allowed a CLK out from the Debug chip, to feed the MCU, but I don't think they did that here ? Is that a thermal relief around the thermal pad of that voltage regulator? Looks like it - did you not expect that ? Fairly common to do that to help better soldering flows. The added thermal resistance is tiny, compared to all the J-A adders. ... and what looks like just 32KHz support (EPSON?) on 4809 ? Or has the 4809 secretly added Crystal Oscillator back into the mix ? EXTCLK goes to a via then to ? An educated guess is EXTCLK is connected to mega32U4 high speed T/C 4 OC.4A or its CLKO. tiny817 Xplained Mini mEDBG has an optional clock out to the tiny817. mega4809 Xplained Pro has mega4809 EXTCLK to a header pin. Couldn't locate it from a first guess on a location. In the working directory, we also need "avrdude.conf", which is available at ELTangas's jtag2updi repository. I thought they resist to add Xmega to Arduino in order to be consistent on using the Mega328. Now I see they skip Xmega. Why ? What's wrong with Xmega ? And the fact that in this board an atmega88 is used to host the firmware made me notice that I can easily reduce the size of an array (I left a huge safety margin) and make it fit in an atmega48. That would save a few cents to the designer, not that it really matters in this case. What's with the clear plastic holder / case thingy ? Product Change Notification - GBNG-06LXXH156 - 25 Jun 2018 - CCB 2856 Final Notice: Qualification of Microchip Fabrication site (FAB 4) for selected Atmel products manufactured with the 59.91K process technology. Do we have any idea what is "59.91k process technology" ? Was curious myself. Google just points me to Microchip PCNs. The programming of the MEGA4809 happens through an ATmega 32U4 programmed with the mDBG code and creates a virtual COM port when connected to a PC. mDBG? Do they mean mEDBG? A wee bit more information in an interview of Fabio Violante (Arduino CEO) by Microchip's Bob Martin at the 2018 Bay Area Maker Faire. earlier in the video is on Arduino's MKR (SAM D21) series with a goal of low-rate production for customers in addition to prototyping. Have you ever wanted to periodically sample an ADC without using code? Have you ever wanted to trigger sensor readings without using CPU resources to do so? The Event System is a feature on some newer AVR® devices that allows autonomous communication between peripherals. This means that you can now trigger sensors, timers, and readings without needing CPU intervention. In this tutorial we will not only cover how to set up the Event System on an AVR device; but we will also cover how to utilize this feature to take more workload off of your CPU. Hopefully will have EDBG instead of mEDBG (speed, etc); maybe nEDBG is good enough. Likely will have a Microchip Wi-Fi module instead of an ESP32 module. nEDBG is on the PIC16F18446 Sensor Board. The AVR-IoT WG Development Board gives developers the ability to add Google Cloud connectivity to new and existing projects with a single click using a free online portal at www.AVR-IoT.com.